This is a toddler (and parent!) favourite and a good dish for hiding a few veggies. 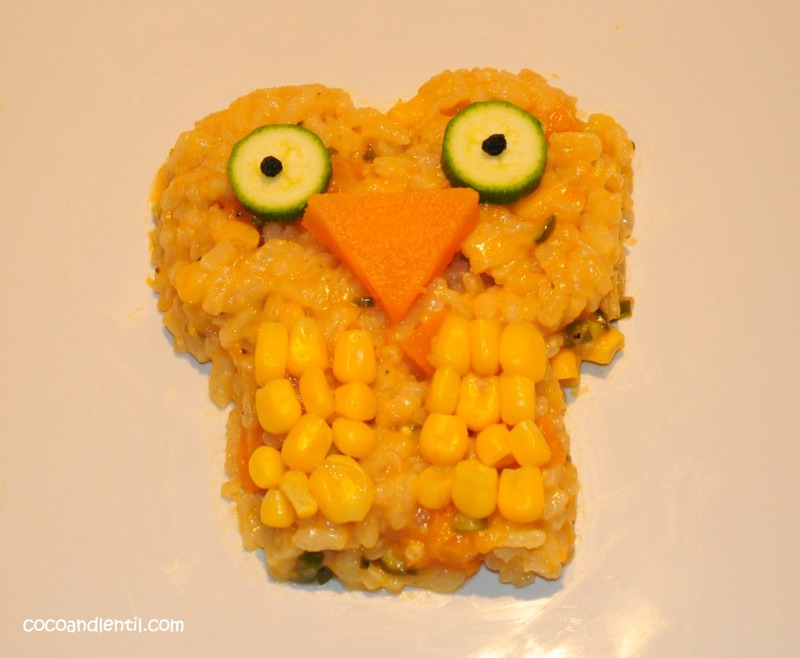 The butternut squash and sweetcorn make it quite sweet tasting, which seems to appeal to little tummies….for some reason?! Tip: I would normally roast the butternut squash in the oven by cutting it in half, removing the seeds and placing on a baking tray flesh side up. Brush with a little melted butter and roast at 180 degrees for about 35-40 minutes (until tender and browning). However, if you are stuck for time, you can steam the butternut squash in the microwaveable instead. Cut the squash as above, remove the seeds and place flesh side down on a microwaveable plate. Cut some slits through the skin into the flesh to allow steam to escape whilst cooking and microwave for about 10 minutes until the butternut squash is tender. Roast / Microwave the butternut squash (see tip above). 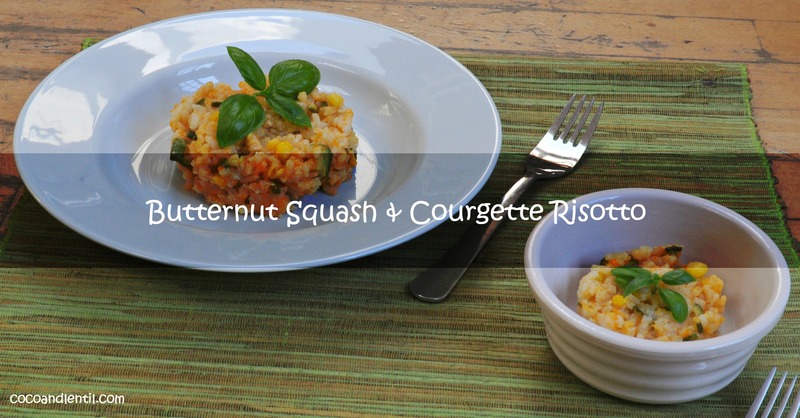 Once the butternut squash is cooked, remove the skin and mash or puree. Meanwhile, heat the unsalted butter in a saucepan on medium heat. Add the onion and courgette and cook for 2-3 minutes until onions are translucent / soft, but not brown. Then add the sweetcorn and cook for a further 2 minutes, stirring occasionally. Next stir in the rice until the kernels have a glossy sheen. Add the mashed/pureed squash and stock to the saucepan and mix well. Turn up the heat and bring to the boil. Then cover and simmer for 15 – 20 minutes, stirring occasionally. Once the stock has been soaked up by the rice / evaporated remove from the heat, season with pepper and stir in the Parmesan, which should melt, giving you a sticky risotto consistency. 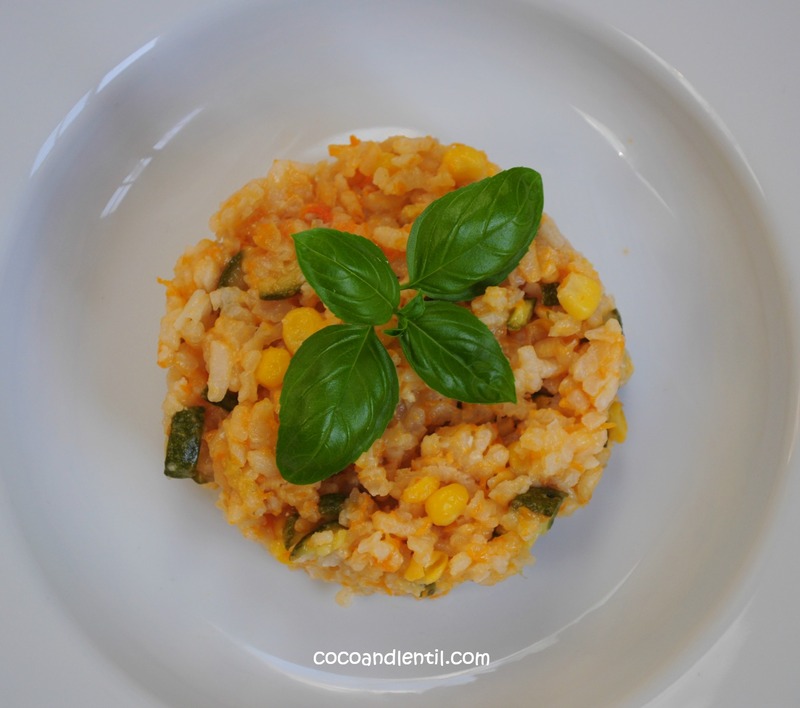 Next enjoy some warm, comforting Risotto with your little one(s)! Very well presented. 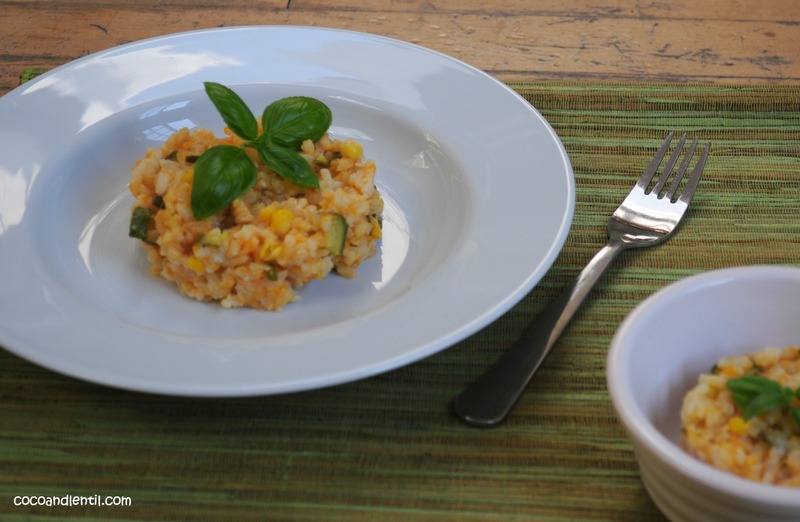 I love this Italian rice dish.